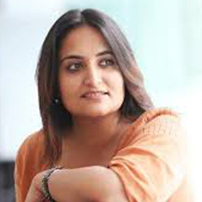 Sonal Kalra is an Indian journalist and National Editor – Entertainment & Lifestyle at the Hindustan Times, India’s second largest national English daily, whose Delhi edition alone has a circulation of over 1 million – the largest in India and among the largest in the world. She heads Entertainment, Art and Lifestyle for the publication’s popular daily supplement HT City, nationally. She also writes a popular weekly column A Calmer You in HT City, focusing on simple calmness techniques to counter day to day stress in modern day urban life. A professional features-writer and journalist since 1996, Kalra has previously edited a tech magazine and contributed to lifestyle publications on decor, health, wellness, fashion, food, beauty fitness and travel. She has co-authored a book E-Government Toolkit for Developing Countries published by the United Nations. Also co-authored a paper India.gov.in: India’s answer to single entry portals presented and published at the International Conference on Digital Government Research 2008, Montreal, Canada. Kalra is a gold medallist from the Indian Institute of Mass Communication, New Delhi and recipient of the Public Relations Society of India award, Best Content award for National Portal by Government of India and the Manthan Award for exemplary content practices.